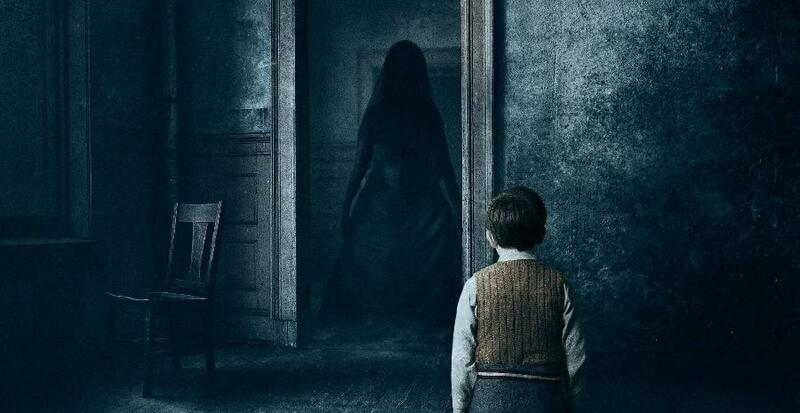 ‘The Woman In Black: Angel Of Death’ is the sequel to the film that essentially revived Hammer – ‘The Woman In Black’ and it was the highest grossing British horror film since records began. The film, adapted from Susan Hill’s hit horror novella in 1983, was another resounding success and the novel has also been adapted into a stage play by Stephen Mallatratt and is the second longest-running play in West End’s history, after Agatha Christie’s, ‘The Mousetrap’. In 2013, Hammer decided to greenlight a sequel to the smash-hit film and the novel was penned by crime writer Martyn Waites with Susan Hill having creative input and also helping to write the script for the film. This time, the story is set in the height of the Second World War where London is being bombed. Headmistress Jean Hogg (played astutely by Helen McCrory) and Teacher Eve Parkins (Phoebe Fox’s debut film role) are evacuating a class of children to the countryside, in this case, the dreaded Eel Marsh House where almost immediately a dangerous presence is lurking and the children are slowly being picked off one by one. Who could it be? The Woman in Black, of course! The film doesn’t hold itself up anywhere remotely near to the original but as a standalone film, it fulfils its purpose just fine. The film isn’t particularly memorable and the scares are pretty second-rate (quiet…quiet…BANG!) but director Tom Harper sure has an eye for aesthetics here as the film is excellently shot (save for a couple of moments where it really does get a bit too dark) and as far as sequels go, this one still shows that there is some sparkle left. Despite the scares being ultimately very second-rate, the film did keep me on the edge of my seat. Harper creates a really creepy atmosphere and the film needs to be rewarded with some excellent scares, but it just never happens and every single scare is either a rehash from another horror film or it’s something as trivial as a bird bashing into a window. The audience deserve a pay-off and every single creepy moment just ultimately falls flat. There is plenty of room for some really spine-tingling, effective scares but the film just goes with the usual claptrap which is a really big shame. The first film relied on jump scares as well but there were ultimately a couple of really chilling scares in it and what this film also lacks is a sense of suspense which the first film masterfully did. What’s especially baffling is that whenever there is a close-up of the Woman in Black, she actually looks almost pantomime-like which is a real shame and really detracts from the film. The make-up of her in the first film was very sinister and the couple of times that there was a close-up of her really managed to jolt the audience. Here it’s the other way round. What the film also lacks is an exciting cast – Phoebe Fox, Helen McCrory and Jeremy Irvine (who plays the dashing love interest for Fox’s character) are fine, but a really good performance from a well-known actor would really have elevated this film. In the first film, there was Daniel Radcliffe who was excellent in his mature post-Harry Potter first role and even Ciaran Hinds and Janet McTeer did a decent job too. This just doesn’t happen from any of the cast here and an exciting cast could definitely have helped the film move up a tier. The cinematography however is beautiful and the film is very aesthetically astute. The look of the film is very bleak, sombre and really fits in well with the Second World War period setting. What lets it down unfortunately are moments where the film is a bit too dark and the details are quite hard to pick out. The use of all the devilish ornaments scattered around the house are effective too and really help to conjure up a creepy atmosphere. ← 2015 Films To Look Out For!